The tenth PRA Woodcoatings Congress will be held in Amsterdam on 25- 26 October, 2016. This tenth anniversary demonstrates the enduring popularity of the conference with the international wood coating industry, providing an ideal opportunity for disseminating new technology, collaboration and networking. 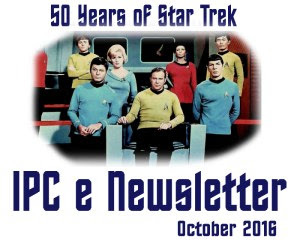 Welcome to the September 2016 edition of the IPC e-newsletter. The IPC e newsletter is distributed free to more than 5000 people around the world. When the president of a company that has been operating in India for exactly a decade tells you of his ambitions for the local market and adds that they are not pursuing to expand aggressively, you begin to wonder at what exactly he has in mind. Scratch the surface a little and one begins to understand that there are minute details that are often overlooked by larger and established players in the industry and which Nippon Paint India is looking at seriously. Chemical manufacturing giant Dow fails to warn people in farming communities throughout California when a potentially dangerous pesticide is applied to nearby fields, health advocates claimed in a lawsuit filed Tuesday. The province of Zuid-Holland pressed charges against chemical company DuPont in Dordrecht due to a large amount of toxic substance formaldehyde leaking into the environment last month, RTV Rijnmond reports based on an email conversation with the province. Mumbai: Kansai Nerolac Paints Ltd., one of India's leading paint companies is joining hands with their dealer partners to organise a Cyclothonwhich will see the participants peddling away in 40 cities. Liquipel, a waterproofing company, designed a nano coating to repel water off of any electronic device. It has long been known that electronics and liquids do not mix. Water has a tendency to shortcut and fry devices, rending them useless. However, a new company is seeking to waterproof any device to prevent further electronics from succumbing to a watery grave. The company, Liquipel, uses a nano-coating to not only waterproof, but make them water repellent. The nano-coating, which is hydrophobic, repels water from coming into contact with any part of the device. To waterproof the device it is first placed into a vacuum. A patented gas is then introduced into the chamber where it is subject to plasma which decomposes the liquid repellent molecules, polymerizing them to themselves. The Liquipel fluid is then bonded to the surface on a molecular level to produce the repellent surface. Australian researchers have developed a new sprayable water-repelling material that could be used to waterproof various types of technologies more cheaply and more durably than is currently possible with existing materials. In a video released by the Australian National University, PhD student William Wong can be seen pouring a blue liquid onto a Petri dish. The remarkable thing is that, although the Petri dish is almost full of the liquid, two round coins placed in its centre stay perfectly dry. In fact, every drop that touches the coins immediately slides away and joins the bulk of the surrounding liquid. The two coins are covered with the material developed by Wong and his supervisor Associate Professor Antonio Tricoli. Mordor Intelligence announces the publication of their research report on the coil coatings market. The report titled, "Global Coil Coatings Market - Segmented by Type, end-user industry, and Geography - Trends and Forecasts" discusses the current landscape and outlook of the market. The global coil coatings market was valued at USD 4.986 billion in 2015. The market is projected to reach USD 7.39 billion by 2021, growing at a CAGR of 6.77% during the forecast period (2016-2021). SALISBURY - This is a drill. This is only a drill. The words over the loud speaker at Akzo Nobel began what would be a nearly four-hour chemical spill training exercise. The multi-agency drill was an opportunity to test company personnel and area first responders. Cytec Industries Inc. is suing China's Yantai Sunshow Specialty Chemical Co. Ltd., alleging that it violated Cytec patents in its Polymer Additives business. Global [Paints and Coatings Market] is estimated $128.5 billion in 2014. BASF SE is prepared to further cut operations in Asia, with a goal of eliminating 250 million euros ($281 million) in costs, as competition with local companies and a slowdown in demand hurt profits, said board member Sanjeev Gandhi. This commercially and technically focussed event has a specific emphasis on coated flat steel products and is the biggest international event of its kind. Networking is key, with more than 100 delegates attending each year, representing over 65 companies from around the world. With the entire coated steel supply chain facing a number of threats and opportunities, we'll be looking at perspectives from key steelmaking regions China, India, Turkey and the Middle East. The agenda will feature discussions on the effects of anti-dumping duties and trade cases on global steel dynamics and the potential benefits for coated steel, as well as key trends in the automotive market. Highlights this year will include presentations from global steelmakers ArcelorMittal Flat Carbon Europe, Al Ghurair Iron and Steel (AGIS), MMK Metalurji and Erdemir. In order to extend the life of fruits and vegetables and preserve them for longer, UNAM researchers have developed an edible coating with added functional ingredients that can be applied to freshly cut foods. James 'Jim' Kleinman, CEO and patriarch of Buyers Products Company, passed away suddenly on Sept. 15.